Here we go again! Another free code from Pampers Gifts to Grow and this one is good for 15 points. 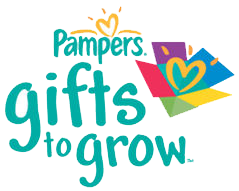 I have been using Pampers Gifts To Grow for several years now and really enjoy getting the free rewards from the program. It is super easy to accumulate points from diaper packages and wipes packages so if you use Pampers, be sure to collect and submit your points! Here is the new FREE code and it is good for 15 points.